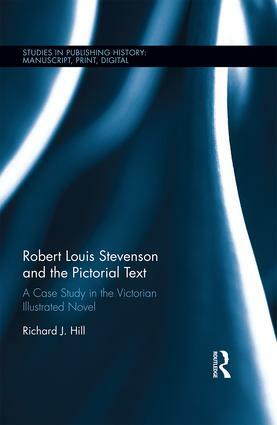 Robert Louis Stevenson and the Pictorial Text explores the genesis, production and the critical appreciation of the illustrations to the fiction of Robert Louis Stevenson. Stevenson is one of the most copied and interpreted authors of the late nineteenth century, especially his novels Treasure Island and Strange Case of Dr Jekyll and Mr Hyde. These interpretations began with the illustration of his texts in their early editions, often with Stevenson’s express consent, and this book traces Stevenson’s understanding and critical responses to the artists employed to illustrate his texts. In doing so, it attempts to position Stevenson as an important thinker and writer on the subject of illustrated literature, and on the marriage of literature and visual arts, at a moment preceding the dawn of cinema, and the rejection of such popular tropes by modernist writers of the early twentieth century. Richard J. Hill is Assistant Professor in the Department of English at Chaminade University of Hawaii, USA.